Every day from 17:00-20:00 - 50% off cocktails & selected drinks! 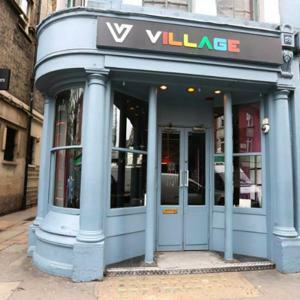 The Village really does offer something for everyone 'all under one roof'. The upstairs 'Soho Bar' dance floor is where all the snap crackling pop, chart and commercial dance action happens, with residents Heidi Liscious & Robyn Banks, plus our gorgeous gogo boys on the bar! Descend into the basement club, where you'll find the best in chunky funky deep house & tech with the cream of London's dance scene. Through to the 'Cafe bar' you'll find a more relaxed vibe with lots of seating & comfy booths. Further more, head upstairs to the new 'Cocktail Lounge' where you'll find another bar with luxurious booths, chandeliers and a stunning view of all the action right up Old Compton Street.